Horsetail is an invasive, non-woody, non-flowering summer perennial weed with hollow, jointed stems or pale-brown, branchless shoots with fruiting cones. About 30 species of horsetail weed exist worldwide, and its history is believed to date back 30 million years. Horsetail easily breaks at the joints when pulled. 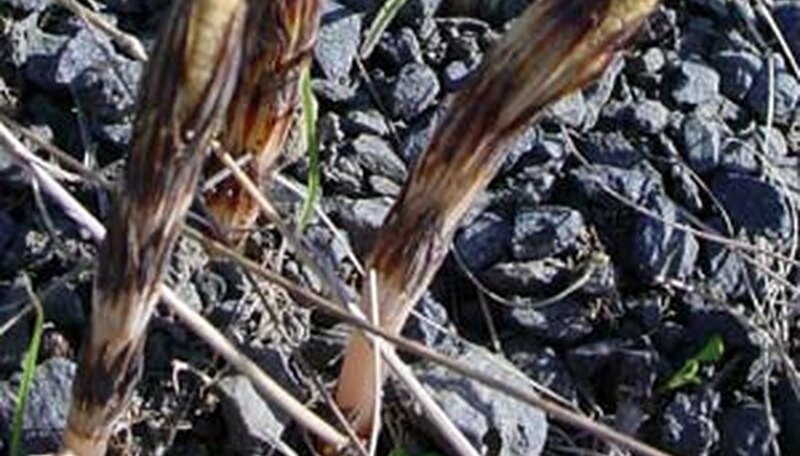 Shoots grow from deep rhizomes and can be spread by moving soil containing them. Horsetail most often can be found along roads, in open woodlands and on low spots in fields as well as nearby ponds, creeks, embankments and streams. In addition to being extremely invasive, horsetail weed is toxic to livestock and can quickly kill animals that eat horsetail-laced hay. 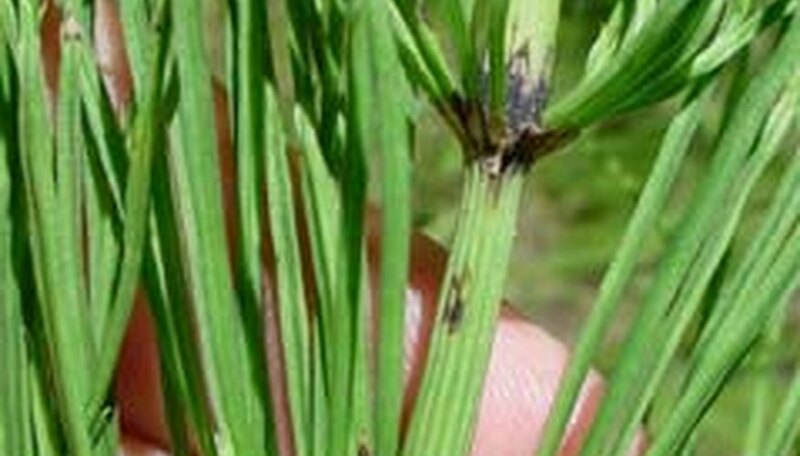 In areas where horsetail is dense, crop yields are reduced due to the substances it expels. Horsetail commonly establishes itself in moist or springy grasslands but can persist in and adapt to a variety of areas, including in dry climates, by reducing the size of its leaves to conserve water. Horsetail contains silica, making it not only tough but also nearly impenetrable by herbicides. Removing horsetail by hand is largely ineffective, as a new plant can grow from remaining rhizomes or tubers in the ground. However, small areas can be dug up given all the rhizomes are removed. Fire, moving and cutting are not helpful. Although costly, mulching with leaf compost or plastic offers some relief. However, it is best to seek professional help to remove horsetail. Incorrect removal efforts actually can worsen the infestation. Some gardeners report benefits from restrained use of household vinegar poured directly on the plants, but this technique has not been proven. Prevention and early attempts to correct the infestation of horsetail weed are essential since horsetail weed is extremely difficult to control once established. Correcting the drainage of the area to limit moisture is important. Low mowing of the horsetail helps to prevent its ability to spread but will not kill the weed. You also can fertilize the turf to increase its ability to compete with the horsetail. * You can attempt to use a post-emergent herbicide when horsetail is young and actively growing, before spore heads are formed. Likewise, glyphosate can be used. In some cases, dichlobenil and amitrole prevent regrowth. Or, you can try applying several applications of a selective weed killer containing Verdone Extra. Before applying weed killer, trample the stems to expose the waxy surface and increase penetration. Jennifer Olvera has been writing since 1997 for publications and websites such as "Chicago Sun-Times," Orbitz, "Chicago Tribune" and Priceline. A four-time author with books that include "Food Lovers' Guide to Chicago," she is a recipe columnist for Serious Eats. Olvera received a Bachelor of Arts in English from DePaul University.